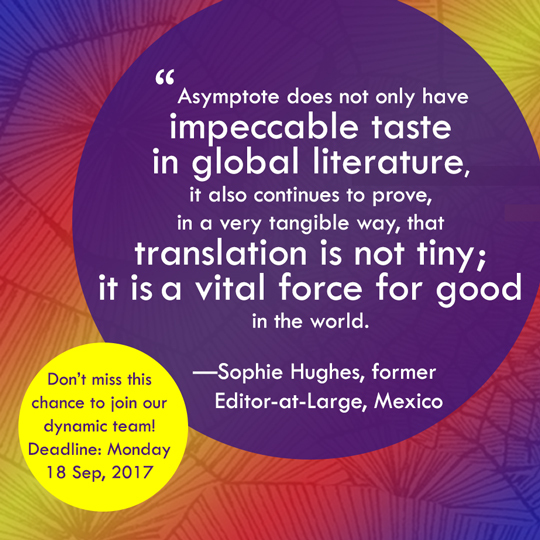 The Asymptote Blog Wants You! 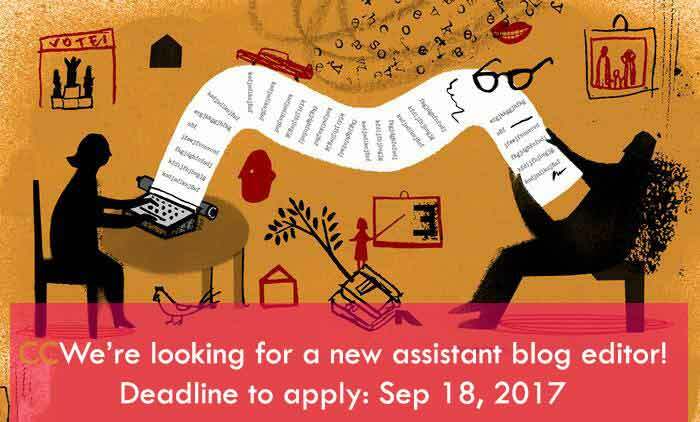 We're looking for someone to join our blog team! Could it be you? Showcasing new translations and daily writings on world literature and culture, it is on the constant look out for voice, probing analysis, and topicality in our postings. We have published pieces on topics ranging from pop music and children’s books to political calls-to-action. Apart from essays, we run dispatches from international literary events, interviews, weekly new translations, book reviews, and more. All that we do we do to connect writers from all over the world to readers like you. If you have what it takes to bring us to the next level, and would like to be a part of an exciting, dynamic blog team (working with our wider volunteer team, whose members are based across six continents), check out our final recruitment call of the year! Although the call’s stated deadline is 11 Sep 2017, we will extend it by one week to 18 Sep 2017 just for our blog readers. So don’t wait, send in your application today! We look forward to hearing from you.